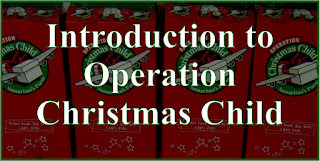 By shopping and crafting for Operation Christmas Child shoeboxes year-round it is possible to pack more shoeboxes, pack more items per shoebox, and/or pack them for less money. 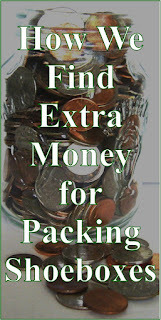 We share many posts in the year-round packing category. 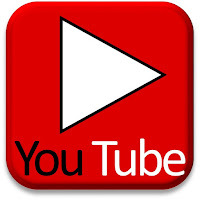 Below are links to the various categories as well as links to many of the individual posts. 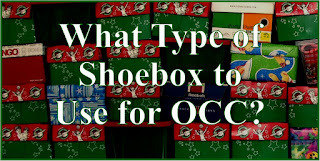 And at the bottom of this post we share organizational tips for shoebox stockpiles. 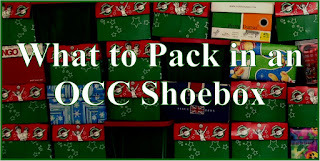 One example of a shoebox we packed for a 10 to 14 year old boy. 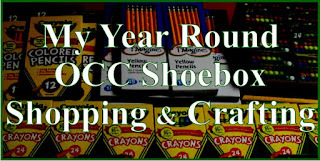 Many Saturdays Sarah shares what she has added to our shoebox stockpile from purchases or donations here: Shoebox Stockpile Saturday. An example of CVS clearance shopping. We also share some deals on our Simply Shoeboxes Facebook page, and check out our Walmart Clearance Deals post-updated regularly with the latest finds/deals complete with Brickseek links! 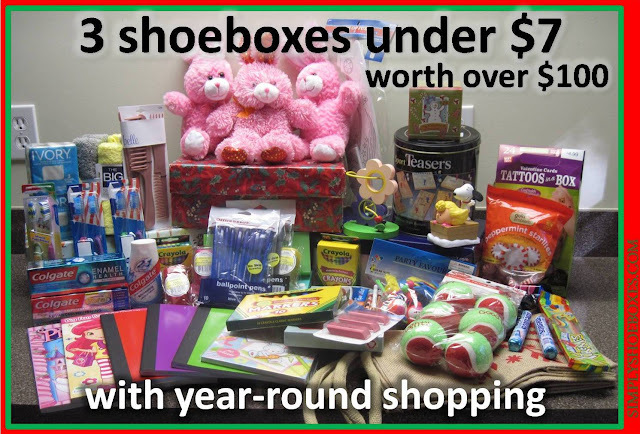 This is just one example of inexpensive shoeboxes we have packed. 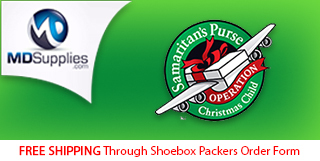 This is how we were able to pack three shoeboxes worth over $100 for under $7. Click the image to see the details (note this was in 2016, when candy was still allowed from the USA). 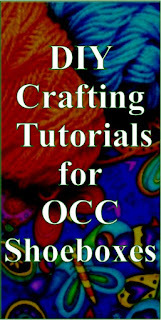 OCC has divided packing into months. Below is a list of the monthly items they suggest--many are listed in months when sales occur. 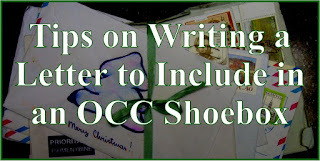 Those with links are to posts we have shared with ideas & tips and recipient stories. 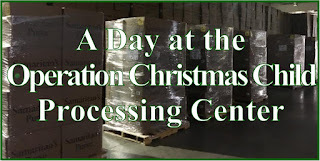 I purchased the last of the items and we packed 21 boxes the first year and the church paid the postage. I always started making my own shoeboxes starting in January and made a few a month. 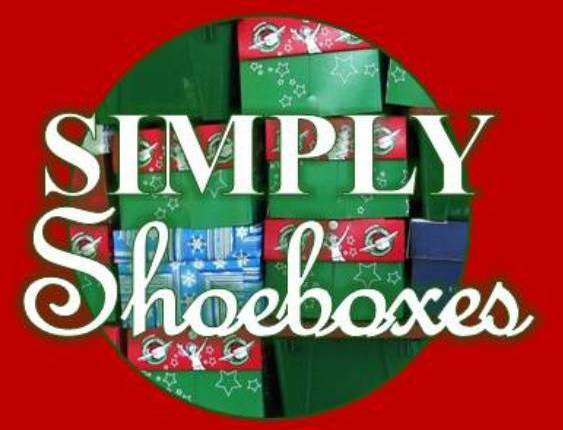 Last year was our best with a total of 52 shoeboxes. 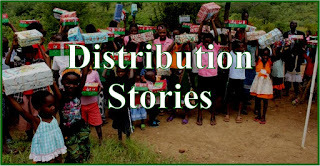 We had received donations for the shoeboxes instead of just having random items dropped in the boxes as in the first two years which worked out well. 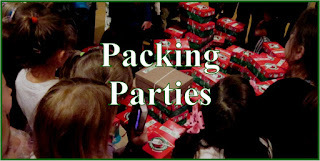 We packed 25 shoeboxes from church donations and a few members made their own and with mine we had the 52 shoeboxes which was really great for a small church. 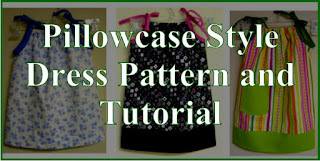 I look for items all year around that I can use for the shoeboxes like Dollar General is great about marking down clothing items like jackets, kids shoes, etc as well as K-Mart with their Shopping Card Members rewards that will give great deals like $10 off $15 or more and they will let you use on clearance items as well so that helps get more great items. I got stuffed animals that were on sale after the holidays and used the discounts and cashback. Walgreens gives points that equal cash and 40,000 points =$50 in free merchandise. 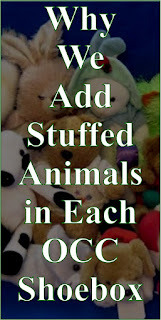 They have great toy sales like buy 2 get one free and it's great for dolls and cars and trucks, school supplies, etc.